All Event Productions Ltd. only employs qualified technicians. We have a 100% safety record over our 16 years in operation, and are run by it’s owner Martin Cullinan. Martin is a qualified radio and television electronics technician, who has also completed a diploma in television production and direction with full honours. Our technicians are Safepass certified, and insured. Martin has extensive technical experience, specifically in the fields of lighting, sound, visuals, live camera work, laser, graphics, staging and rigging. He has built an impressive reputation within his industry, gaining respect from peers and clients alike. His ability as an event director is well established, with a long list of successful events to his credit. Martin has directed the high profile national Radio Awards for 14 consecutive years, to both national and international acclaim. The PPI Radio Awards have been described as “ingenious” and “perfect”. Mark Story has described the awards production as “pure genius” and “a fantastic performance”. 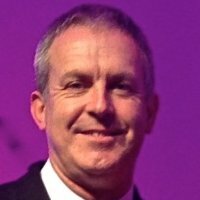 Martin currently produces and directs the National Media Awards and is in fact Ireland’s leading awards production specialist. Our very impressive client list and the long term loyalty of our customers speaks for itself. Martin is also known nationally as broadcaster Bob Conway and has worked with Today FM, also previously working for RTE 2FM for 11 years.